Customer perception of vehicle quality is closely related to the NVH behaviour of the vehicle. 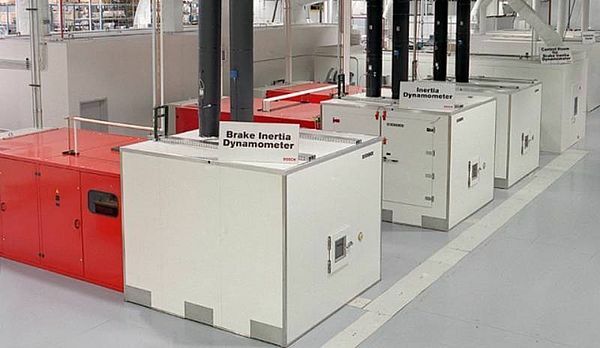 With the HORIBA ATS Brake testing system, NVH relevant design features are analyzed and various metrics stored in the database of the automation system. For friction borne vehicle NVH problems coming from the brake and its components the GIANT 8000 Series is the ideal tool to resolve it. 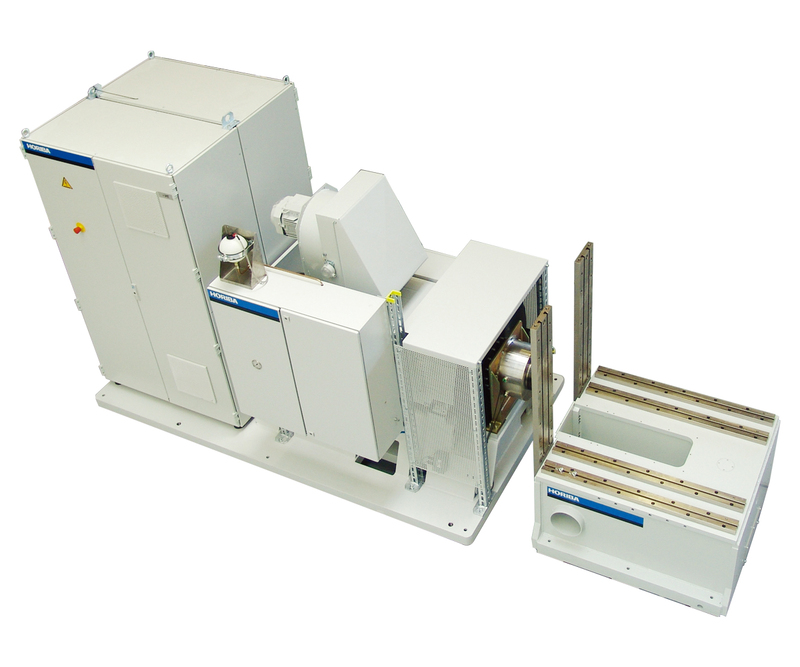 The GIANT 8000 Series is superior NVH test system providing you with the best testing conditions for all types of vehicles. Test brake fixtures could be tested with a complete wheel suspension system. In a semi acoustic chamber NVH tests could be realized and drum brakes and disc brakes including the vehicle axle could be tested. GIANT 8200 Cars up to Vans " " "
GIANT 8400 Cars up to Vans " " "
GIANT 8600 Cars up to Vans " " "
GIANT 8800 Cars, Vans up to LD Trucks " " "
Machine frame resting on special vibration insulators. No seismic concrete block required. DC motor/generator to accelerate the flywheels and to load the test brake with drag torque. AC/DC power converter, to feed the DC-motor and power the electrical inertia simulation.